ABOUT THE CLIENT: DoubleDutch is the global leader in event marketing automation software. They transform events and conferences from good to great with data-driven mobile technology. ABOUT THE PROJECT: DoubleDutch employees were scattered over several floors in their previous location. Upon securing a building where all 260 employees could be housed on one floor, they asked us to transform the workplace. 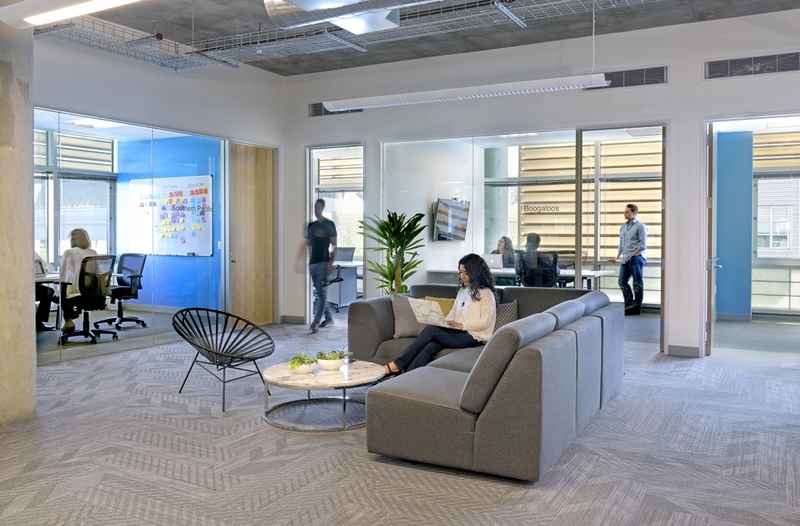 We converted the exterior offices to breakout and collaborative spaces, and unified individual departments in locations adjacent to the groups they work with most. 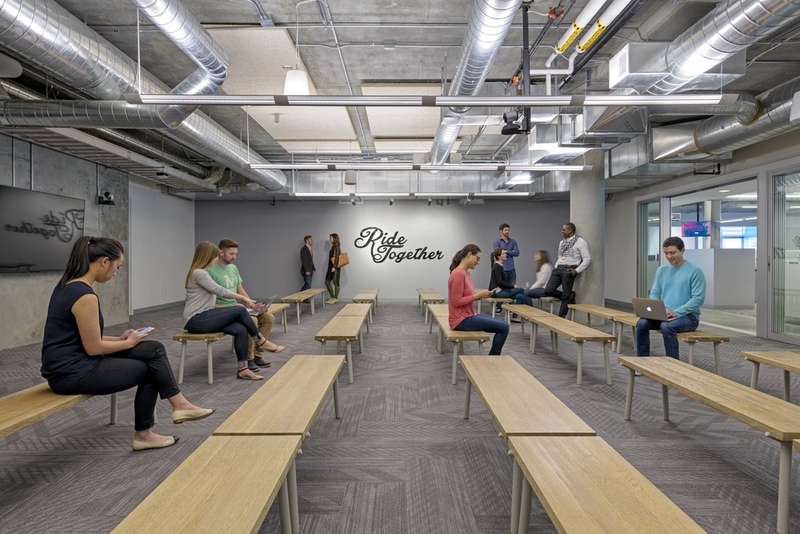 A large, welcoming entry was also created where employees may eat, collaborate, and greet visitors. In the middle of the floor, a dark computer storage cage was transformed into a light-filled all-hands room for meetings and events. 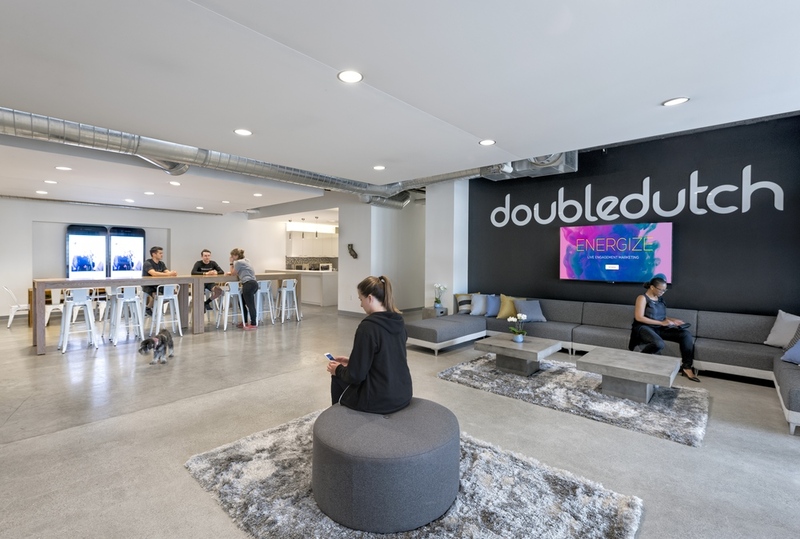 By keeping some elements intact and only replacing what was necessary, we were able to stay within DoubleDutch’s budget and deliver a modern space that suits the company’s business needs while positively enhancing their company culture.